Use It On Your Counter For Display Or On The Table While Eating And In Your Cabinets For Storage,Also Great For Restaurants Offices Wedding Halls Next To The Coffee And tea. Helps Keep Your Counter Tops Clutter Free And Your Mugs Easily Accessible Stylish design. They Are Easy To Clean And Durable For Everyday use. Installation: Free Punch Number Of Layers: 1 Layer Material: Stainless Steel Supplies Type: Other. 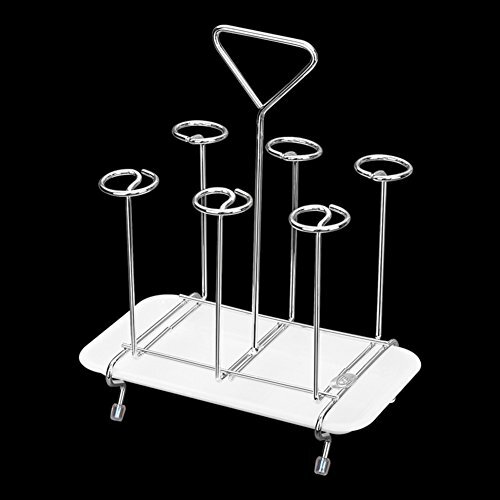 Its base is very thick,So it can carry more cups without turning over.Made of quality metal,Rust resistant. Cups in display not included. View More In Dinnerware & Stemware Storage. If you have any questions about this product by TY&WJ, contact us by completing and submitting the form below. If you are looking for a specif part number, please include it with your message.